We love cannabis as much as you do and work hard researching the latest trends and products. Cannabis is a beautiful and exceptionally useful plant. With that in mind, quality is a point of pride in our business. Our meticulous focus on both quality and the best possible prices has helped us to grow to be one of Washington’s most beloved Cannabis Dispensaries. We have specials everyday of the week. Come in and save on our awesome products. Come learn a bit about us and get a sneak peak of our favorite strains. Trust us, we are experts! We take pride in making the best relationships in the industry. View our hand picked vendors. Grow Op Farms is a WA i502 producer-processor farming copious amounts of top shelf cannabis. We created a growing environment that uses filtered air and, only when necessary, organic pesticides. Blue Roots Cannabis was founded in 2014 with the purpose of providing our friends with top-shelf marijuana products. We build on our legacy through integrity, innovation and honest commitment to excellence for the local community. 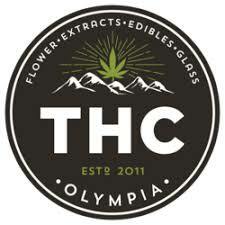 Bringing high quality solvent free concentrates to the Seattle recreational cannabis Market. Award winning genetics from the best producers in Washington go into Refine Seattle’s flagship product. Packaged by an artist. Our delivery for our packaging is to show the product and not hide it with fancy labels. When it come to giving you the cannabis experience, there are several essential ingredients to the Grizzly recipe. Exotikz focuses on exotic and rare strains found nowhere else in the city spreading our knowledge and insights since 2006. We love feedback from anyone that comes to our store. Please feel free to review us. If you are looking for variety, this is the place. Friendly, knowledgeable help. The best shop we visited while on vacation in Washington and Oregon. Excellent customer serviceWe are visiting from California and stopped in here. We were greeted by very friendly and helpful budtenders. There is a nice variety of products to choose from and the prices are great. We will definitely come back on future visits. Love this place. They are very helpful and knowledgeable. They are happy to answer tons of questions and don’t just recommend the spendy stuff. We are right of Martin Way next to FATSO’s Bar. Can’t wait to see you!